The Tanzeem Group was honored to host and run logistics for American actor Holt McCallany during his recent trip to Cairo, where he met with human rights victims and defenders. Daily News Egypt – Actor Holt McCallany Visits Cairo: American actor visits Egypt to shed light on situation. 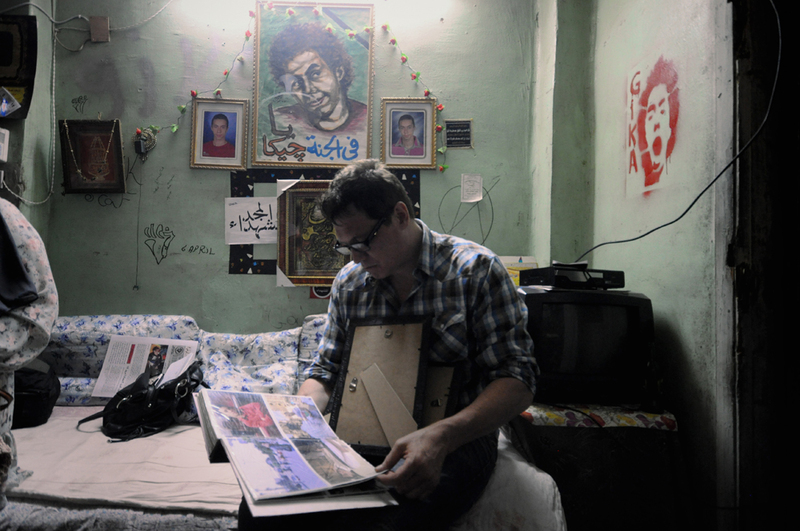 McCallany in the bedroom of slain April 6 member Gika. 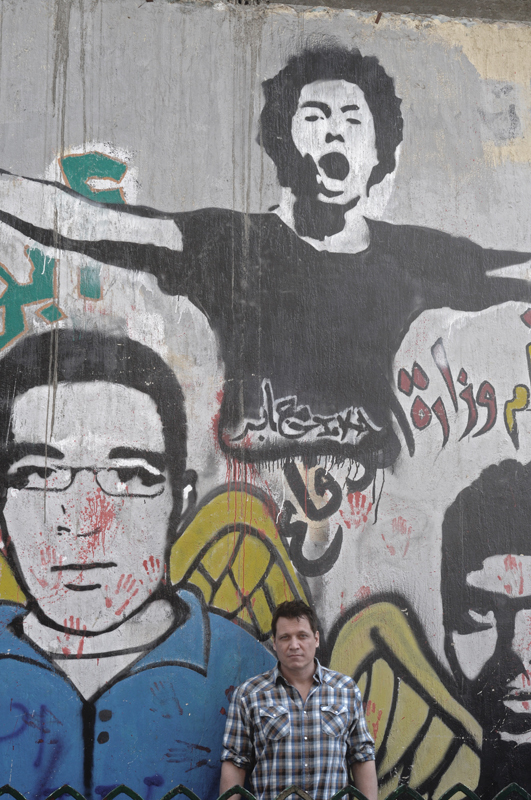 Pittsburgh Tribune-Review – Actor McCallany finds harsh reality in Egypt. 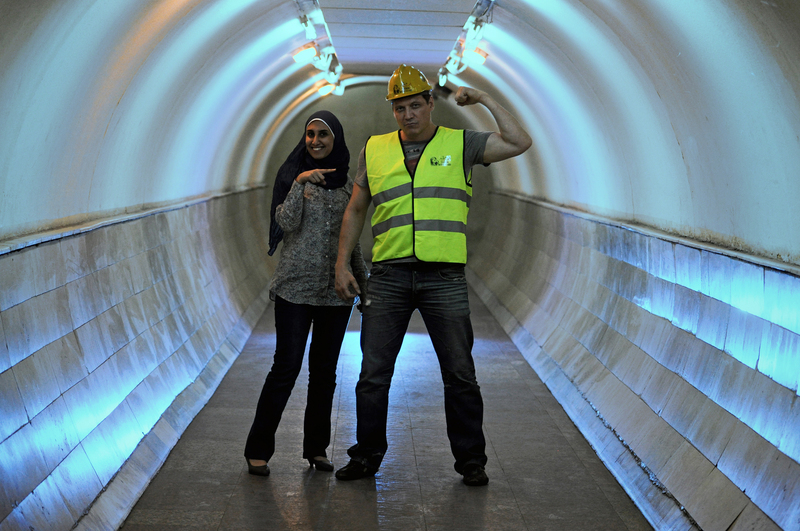 McCallany, who was named an honorary Tahrir Bodyguard, with civil society activist Rawda Saeed. 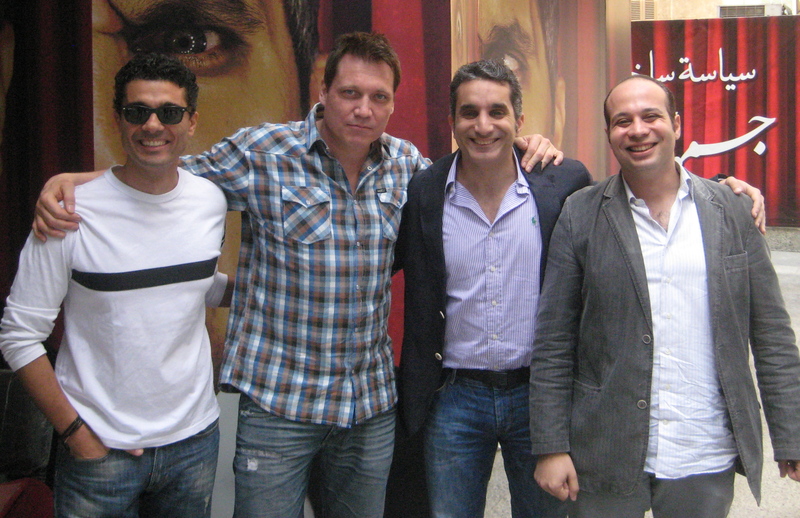 Khalid El Nabawy, Holt McCallany, Bassem Youssef, and Ahmed Maher. 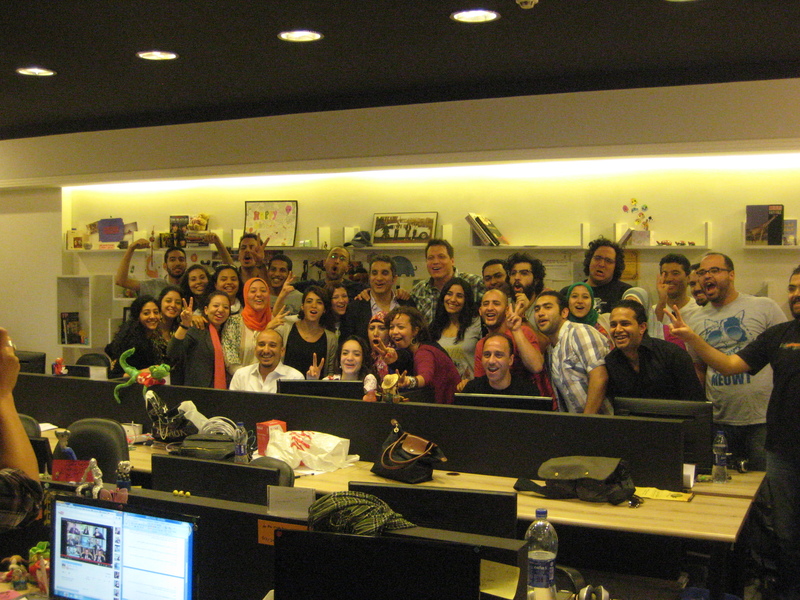 McCallany with Bassem Youssef and his extraordinary team of writers. 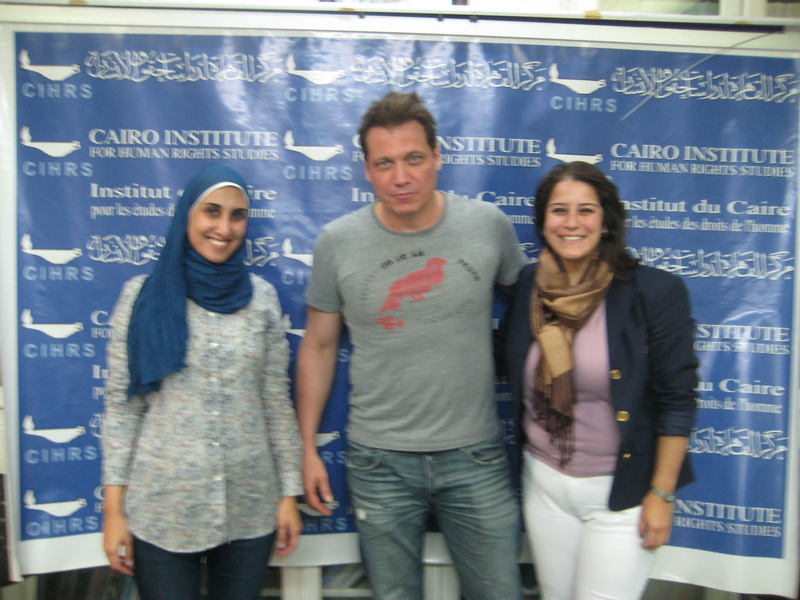 McCallany at the Cairo Institute for Human Rights Studies with activists Rawda Saeed and Hafsa Halawa. 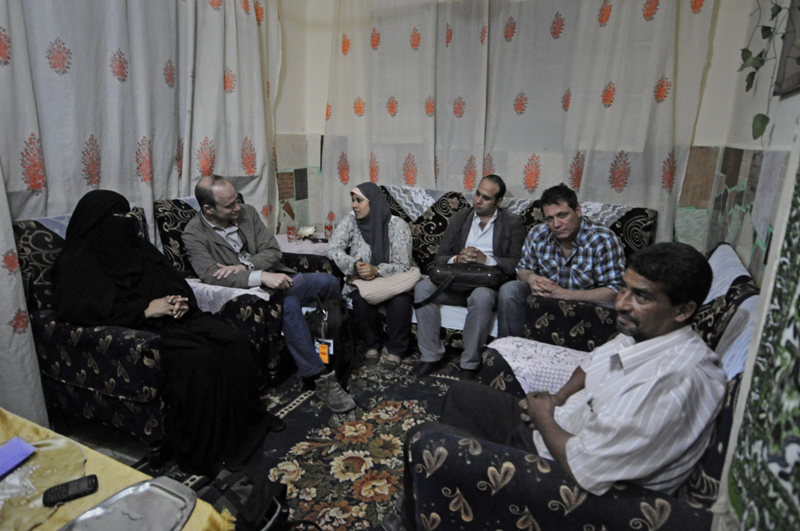 Meeting with the family of 17 year old Mohamed Morsi from Boulaq, sentenced to 15 years by a military trial for breaking curfew. ← PHOTOS: Strategic planning meeting.